I’m on the verge of becoming a self help junkie. But fear not. I promised myself the next book I read will either be about production or a biography. During the Christmas holidays I found myself lazy, fat and exhausted from the previous months of work, life and goals setting. 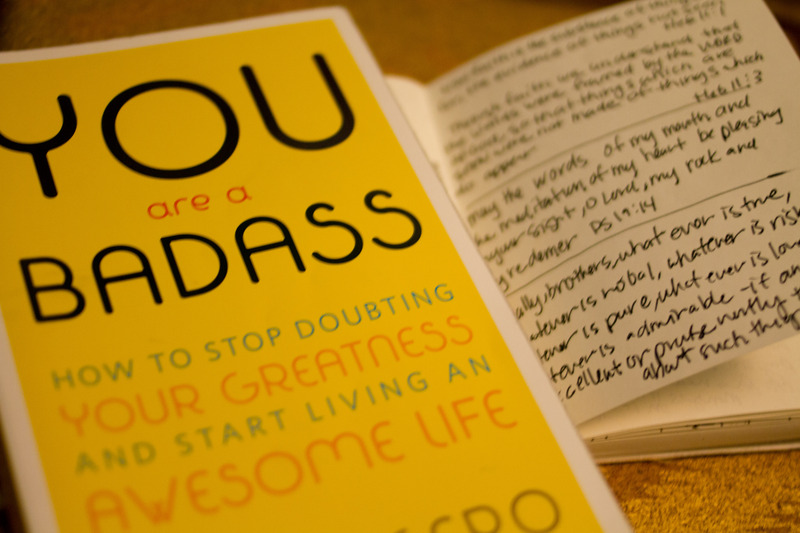 I came across this book, You are a Badass by Jen Sincero. Such a shocking title for this little Christian girl, but this slap to the face title caught my attention. It also brought to light one of my largest fear, it encouraged me to thank my fears for trying to product me and to speak truth to it and encourage myself. …it’s much scarier in your mind than it is in reality. We’ve made fear being a habit. It touched on making decisions, which for me I would wait things out. Deciding is freedom. Indecision is torture. Indecision is one of the most popular tricks for staying stuck within the boundaries of what’s safe and familiar. I was encouraged to create a vision board, searching for what I really want in life was a bit exciting. As I was putting my board together everything seem possible. Yeah.. I’m done self doubting. I want to get this book!!! If I ever get out of being snowed in I will go get it! Louise Hay is my favorite self help author! That’s awesome, I gotta check her out. 🙂 You’ll be encouraged by this book, it’s very applicable. This is a FABULOUS POST…really touched me. Thanks for sharing this book and your thoughts. Thank you, it was a good book to start the new year!